Online sign for the death penalty for Shibuya Yasumasa(澁谷恭正). Prezado Ministro da Justiça, Supremo Tribunal Federal, Ministério Público Supremo, Supremo Tribunal de Tóquio, Escritório do Ministério Público de Tóquio. morta. Todos assinam para pedir a pena de morte para o assassino Shibuya Yasumasa abaixo. Todos no mundo político, por favor assine. Por favor, imprima e preencha o seguinte formulário de assinatura e envie por correio. ● Vamos submeter todas as assinaturas ao escritório de promotoria pública de Tóquio. ● Para proteger as informações pessoais, este documento não será usado para outra finalidade. To Shibuya Yasumasa and those who are trying to help[embedyt] https://www.youtube.com/watch?v=TQg4ukHsYSs[/embedyt] him. People who try to protect and support Shibuya Yasumasa should think carefully about what they are doing. Are they doing the right things? Do they feel ashamed of themslves? The one murdering my daughter still contumaciously denied his crime and tried to tell lies. To avoid being under sentence of death, he might have suborned them. If so, they should stop to ease their conscience and their parents will not have to be notorious for what they do. It is really such a shame to accept the truth that their progeny is misguided and blinded by money. Thay sold their honour with treacherous lies. People were born with two eyes to see, two ears to listen, two hands to directly feel the world. Some people heard about what Shibuya Yasumasa had done to my daughter but they still did not get clearly. I will try to explain everything as far as I know in this letter. I had been waiting from the day on that Shibuya Yasumasa was arrested on 14th March 2017 til 4th June 2018. I don’t got any information about the investigation, as well as anything related to my daughter’s death. I only know there are some photos that clearly show Shibuya Yasumasa’s car registration number and one proves that he picked Nhat Linh up from school. Moreover, we have testimonies from an old woman who protects children everyday at the three-way crossroads near school and what Linh’s teacher told about her great effort in studying. She reached the standard for the 4th grade, but unfortunately, she will never be able to go to school like other children anymore. Everything is just because of the sorrowful fact that the inhuman murderer Yasumasa Shibuya destroyed future and right to life. 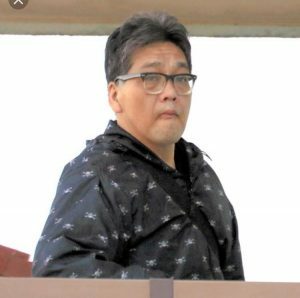 From 4th June 2018 to 18th June 2018, there was a trial with issues that Shibuya Yasumasa and his lawyer agreed to bring out. It was beyond my thoughts. Only after listening to others’ testimonies did Shibuya Yasumasa speak out. He based on the statements of the witnesses and lied about the time. There are some evidences against him: my daughter’s blood stain in his Move car and the handcuffs he used to lock her arms and legs, sign of urine in the backseat,… Car seat cover was torn up and thrown away. They even found many tools to arouse sexually, mask and the necktie supposed to be the murder weapon. According to the statements of the witnesses, only after 12:50 am 24thMarch 2017 did Shibuya Yasumasa start to answer the phone calls. Nobody can demonstrate what he was doing at the time between 8:30 and 12:15 am. From 8:30 to 12:15 am, he was near to the car park of the camping site. Even his ex-wife made statements. She asserted that Shibuya Yasumasa’s daughter had stopped enuresis at the age of five. According to her statements, on 26th March 2017 when Shibuya Yasumasa drove her to the airport by his Move car, she did not see the car seat cover anymore. When the police carried out an investigation, all the cameras had been destroyed and out of order. There are signs that dashboard camera in Shibuya Yasumasa’s car was deleted on 3rd March 2017, right after the day I had to bury my daughter’s dead body. Only after my daughter had rested in peace dis I start to talk to news media. I asked people living near my house and places the killer threw my daughter’s body, clothes and stuffs to re-examine their cameras and notify the police or directly me if they saw anything strange. Shibuya Yasumasa might have seen this on newspaper and television, so that he deleted data in his dashboard camera the following day. Shibuya Yasumasa and his lawyer denied all the evidences the police brought out about DNA and my daughter’s blood stain in his car, as well as his aphrodisiac tools. There is a Vietnamese old saying: “Even a wicked tiger never eats his cubs.”, however, Yasumasa Shibuya selfishly made corrupt use of his daughter just to protect himself. If Shibuya Yasumasa’s daughter knows she was falsely accused for urinated in the car, how will she look up to her father? Such poor for her to be Shibuya Yasumasa’s daughter. According to the mother, their daughter never urinates in the car. However Shibuya Yasumasa told the police the opposite, just because they spotted the sign of urine on the backseat of his car. And the wife said that the cover of the backseat was mising, cut off and thrown away, however Shibuya Yasumasa declared that his wife, after had given birth, lost her memories and became unreliable. She must speak out her thoughts about her damned husband, who falsely accuses her to lost her memories despite she is just 35 yearsold with normal working abilities. 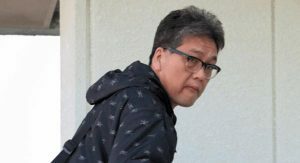 According to the woman who standed with Shibuya Yasumasa to look after the student when they go to school, he told her that in the day 24th March 2017 he would not stand with her to look after the student. This proves that Shibuya Yasumasa had planned to kidnap, sexually abuse and murder my daughter. Also, the woman told me that my daughter came into Shibuya Yasumasa’s car and went to her house from school. Her house is only 12 meters away from my house. 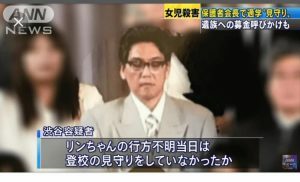 But in the trial, Shibuya Yasumasa said that he, his daughter, my daughter and her drove together to her house twice. There were a couple of times that Shibuya Yasumasa and his daughter came to her house to play, with my daughter too. And my daughter had come in Shibuya Yasumasa’s car to play game once. Shibuya Yasumasa took my daughter to home, came to play with her manytimes without a greeting to us. The old woman know that all but she didn’t told us anything although it’s only 10m from her house to my house. This is clearly a sneaking process already planned. Shibuya Yasumasa tried to approach my daughter for his godforsaken purpose, that explain why he didn’t tell me anything. Normally if the children want to play together, their parents will come to inquire before let them play,much less take her back to house by his car.Just only this action also deserves to be sanctioned if it is true. To me this is the fabrication of evidence for Shibuya Yasumasa to legitimize the story of my daughter getting into his car from before and the blood stains that have existed since then. In this time, the Tokyo Spreme Court will definitely see thr pre-planning crime and cruelity of Shibuya Yasumasa. He showed no repentance. He is worth the death penalty. He brought out many sufferings, cost us a lot of time, money and effort to solicit and receive signatures from people. I once believed that 26th June 2018 would be the last day I had to solicit for signatures to demand the death penalty against Shibuya Yasumasa. I even could not believe I will have to go on doing this for the 4th time. I used to just desire the Japanese to help me, I thought it was enough. But the first trial did not inflict him the penalty he deserves. In this time, I am asking people all over the world to help me to chastise the evil Shibuya Yasumasa. To those who support Shibuya Yasumasa, if you happen to read this, please stop your intention of protecting the murderer. If not, you will surely feel regret oneday. Poor those who gave births to people who have 2 eyes, 2 ears, 2 hands and a brain but still be misled by the wrong things. If Shibuya Yasumasa read this letter, he should be stricken with remorse. Is he an evil? Why doesn’t he have humanity? At the court, Shibuya Yasumasa said he was ill and he could not see anything with his eyes. He even did not deign to stand up to greet the judge, how could he still write and read the letter to claim innocence? Shibuya Yasumasa made a mistake when he sent the letter to wrong people and erote those words he should not write. Just a sentence in his letter can I prove Shibuya Yasumasa is the one who murdered my daughter. As I said, I gave him and his lawyer opportunity to prove that he was not related to my daughter’s death, I waited and listened to the deceitful story that maybe only Shibuya Yasumasa could make up and speak out. What he said annoys everyone attending at the trial, and I myself do not know how to repress my anger. I think if Shibuya Yasumasa’s wife and daughter knew this, even they could not stand it. But the truth is always the truth. Nobody can turn white into black, as well as conceal his crime. “The mills of God grind slowly, yet they grind exceeding small.”, he will have to pay for what he had done. If he spoke the truth and showed repentance from the beginning, he might hope for mercy from the law. But with his contumaciousness, there is no way else but giving him the death pennalty. Once I know exactly the one killed my daughter, he will be strictly punished with the punishment he deserved-the death penalty. Everyone in the political world, please sign. Please print and fill in the following signature form and send by post. Gửi Shibuya Yasumasa và những kẻ đang muốn bảo vệ hắn ta. Những người đang bảo vệ và bênh vực cho Shibuya Yasumasa hãy tự mình suy nghĩ lại xem việc mình làm có đúng không. Có cảm thẩy xấu hổ thẹn với bản thân mình không. Kẻ sát hại con gái tôi vẫn ngoan cố không nhận tội và còn đang tìm cách để nói sai sự thật. Để tránh tội chết của mình, có thể hắn ta đã dùng tiền để mua chuộc những người này. Nếu điều đó là sự thât thì hãy dừng lại và hãy làm những việc để lương tâm bản thân được thanh thản. Để cho những người đã sinh ra mình không phải chịu điều tiếng do con mình sinh ra. Thật xấu hổ cho những người làm bố làm mẹ của những người lạc đường lạc nối, vì đồng tiền mà bán rẻ lương tâm của mình, làm những việc đổi trắng thành đen. Biết là có tội mà vẫn cố tình tìm cách nói là không có tội. Con người có mắt để nhìn có tai để nghe, có tay để sờ vào vật nào đó nếu có thể để nhận biết sự vật ở xung quanh chúng ta. Có những người đã nghe thấy đã nhìn thấy sự việc của Shibuya Yasumasa đã làm với con gái tôi nếu chưa hiểu hết thì có thể nghe tôi giải thích thêm một chút. Tôi sẽ giải thích trong phạm vi tôi đã biết. Tôi đã chờ đợi từ ngày Shibuya Yasumasa bị bắt ngày 14 thán g 4 năm 2017 cho đến ngày 4 tháng 6 năm 2018. Tôi không biết gì về những thông tin điều tra về Shibuya Yasumasa và những gì liên quan đến cái chết của con tôi. Tôi chỉ biết được có vài tấm ảnh nhìn thấy rõ hình ảnh chụp được rõ biển số xe của Shibuya Yasumasa, và 1 bức ảnh Shibuya Yasumasa đã đưa con đi học đi về. Và 1 phần lời khai của bà già hàng ngày vẫn đứng bảo vệ trẻ em ở ngã 3 gần trường học. Và 1 phần lời khai của cô giáo linh về sự cố gắng học hành của Linh ở trường học. Nếu các bạn cũng được nghe thì sẽ thấy con tôi đã cố gắng học tập như nào. Con tôi đã đủ tiêu chuẩn lên lớp 4 Vậy mà đã không thể tiếp tục đi học lớp 4 được. Chỉ vì tên sát nhân không còn tính người Shibuya Yasumasa đã cướp đi tương lai và mạng sống của con tôi. Và phiên toà được diễn ra từ ngày 4 tháng 6 năm 2018 đến ngày 18 tháng 6 năm 2018 phiên toà diễn ra với nội dung xoay quanh những gì mà Shibuya Yasumasa và luật sư của Shibuya Yasumasa đồng ý đưa ra. Và phiên toà diễn ra với trình tự ngoài sự suy nghĩ của tôi. Hàng ngày với sự có mặt của Shibuya Yasumasa, tôi, và có nhiều phóng viên cùng theo dõi. Shibuya Yasumasa cùng với mọi người nghe những chứng cứ và lời khai của những người được gọi đến. Sau khi nghe lời khai của tất cả mọi người được gọi đến thì cuối cùng Shibuya Yasumasa mới nói ra những gì mình nói. Và Shibuya Yasumasa đã dựa vào những gì mà các nhân chứng đã nói xoay quanh các nội dung đó và nói sai đi nội dung với các mốc thời gian mà các nhân chứng đã nói. Theo những bằng chứng và nhân chứng nói, thì tìm thấy vết máu của con tôi ở trên xe con Move của Shibuya Yasumasa. Đã kiểm tra có nước dấu hiệu có nước tiểu ở ghể sau của xe. Và vỏ bọc của ghế ngồi của xe đã bị xé ra vứt đi. Ở xe cắm trại của Shibuya Yasumasa thì đã tìm thấy các vật dụng để nhằm mục đích kích dục, và mặt nạ, và cà vạt mà đã cho là đã dùng để siết cổ con tôi. Và đã tìm thấy cả vết máu ở còng sắt mà đã dùng để khoá tay và chân con tôi. Và các nhân chứng nói cho thấy khoảng 12:50 ngày 24 tháng 3 năm 2017 thì Shibuya Yasumasa mới bắt đầu nghe và gọi điện thoại. Từ 7:50 đến 12:15 thì đã không thể chứng minh được có ai cùng làm gì. Và trong khoảng 8:30 đến khoảng 12:15 giờ đã ở quanh khu vực bãi đỗ xe của chiếc xe cắm trại. Và vợ cũ của Shibuya Yasumasa cũng đã đứng ra khai báo. Và có xác nhận là con gái của Shibuya Yasumasa là khi 5 tuổi đã không còn đái rầm ra nữa. Và cũng đã nó là ngày 26 tháng 3 năm 2017 khi Shibuya Yasumasa đã đưa vợ cũ bằng xe Move đi ra sân bay thì so với lần trước đã không thấy lớp bọc của ghế ngồi đâu nữa. Nhà của Shibuya Yasumasa có gắn rất nhiều camera ở cổng và trên tầng nhà. Vậy mà tất cả các camera đã bị phá huỷ không còn sử dụng được khi cảnh sát đến điều tra. Và xe Move của Shibuya Yasumasa có gắn camera hành trình đã thấy dấu hiệu bị xoá vào ngày 3 tháng 4 năm 2017. Trước đó 1 ngày là ngày 2 tháng 4 năm 2017 lúc 8 giờ sáng giờ việt nam tôi đã chính tay mình chôn cất con gái tôi. Sau khi chôn con gái tôi có thể an nghỉ tôi mới bắt đầu nói chuyện với đài báo và ti vi. Trong cuộc nói chuyện đó tôi đã mong muốn người dân sinh sống gần nhà tôi và những nơi mà kẻ sát hại con tôi đã vứt xác , và những vật dụng và quần áo của con tôi, hãy tự mình xem lại camera mình có nếu có phát hiện gì thì xin trình báo với cảnh sát hoặc trực tiếp cho tôi biết. Có lẽ Shibuya Yasumasa đã biết thông tin qua báo, tivi vì vậy đã xoá phần dữ liệu camera của xe vào ngày hôm sau. Tất cả các bằng chứng về DNA và viết máu của con tôi ở trên xe , và các dụng cụ để kich dục của Shibuya Yasumasa mà cảnh sát đã đưa ra thì bị Shibuya Yasumasa cùng với luật sư của Shibuya Yasumasa phủ nhận và cho là cảnh sát đã nguỵ tạo chứng cứ. Người việt Nam có câu “Hổ không ăn thịt con của mình” vậy mà Shibuya Yasumasa đã bất chấp cả con mình tìm mọi cách để bảo vệ mình.Nếu con gái của Shibuya Yasumasa biết chuyện đổ oan cho mình đái dầm ra xe nó sẽ đối xử với bố nó ra sao??? Thật đáng thương cho đứa bé có bố là Shibuya Yasumasa . Con gái của Shibuya Yasumasa theo như mẹ nó khai thì không đái dầm ra xe. Vậy mà Shibuya Yasumasa nói là con mình đái ra xe bởi vì cảnh sát tìm thấy dấu hiệu của nước tiểu ở ghế ngồi trên xe. Và vợ Shibuya Yasumasa đã nói là không thấy vỏ bọc của ghế đâu, đã bị cắt bỏ vứt đi vậy mà Shibuya Yasumasa đã nói vợ cũ của mình là sau khi đẻ con bị mất trí nhớ, lời khai không đáng tin. Vợ cũ của Shibuya Yasumasa sẽ nghĩ sao khi bị Shibuya Yasumasa nói là mất trí nhớ. Nhất định ở tòa án tối cao hãy nói ra suy nghĩ của mình về tên chồng cũ khốn kiếp đã nói bị mất trí nhớ trong khi mới có 35 tuổi và vẫn hàng ngày đi làm bình thường. Theo lời khai của bà già cùng hàng ngày đứng bảo vệ học sinh đi học thì Shibuya Yasumasa đã nói với bà ý là ngày 24 tháng 3 năm 2017 sẽ không đứng đó để cùng bảo vệ các em học sinh đến trường. Đây không phải Shibuya Yasumasa đã có kế hoạch từ trước để hành động bắt cóc và dâm ô , sát hại con gái tôi từ trước sao. Cũng theo lời kể của bà ý thì con gái tôi đã cùng lên xe của Shibuya Yasumasa từ trường về nhà bà ta. Nhà bà ta chỉ cách nhà tôi khoảng 12 m. Và trong phiên toà diễn ra thì Shibuya Yasumasa lại nói rằng đã cùng con tôi và ba ta và con của Shibuya Yasumasa cùng đi từ trường về nhà bà ta 2 lần. Và có vài lần Shibuya Yasumasa và con của Shibuya Yasumasa đã đến nhà bà ta chơi và con gái tôi cũng ra đó chơi, và đã có lần chèo lên xe của Shibuya Yasumasa chơi game. Mặc dù chỉ cách nhà bà già đó cách nhà tôi có 10 m, vậy mà nhiều lần đưa con tôi về, nhiều lần đến đó chơi cùng với con tôi, mà không hề chào hỏi tôi và vợ tôi dù chỉ 1 lần. Và bà ta cũng không hề nói cho tôi hay vợ tôi biết sự việc đó. Đây không phải là vì mục đích đen tối từ trước vì vậy đã không chào hỏi tôi và vợ tôi sao. Shibuya Yasumasa đã tìm cách tiếp cận con tôi để nhằm mục đích đen tối vì vậy đã không nói cho tôi biết. Bình thường nếu trẻ con mà muốn chơi cùng với nhau thì trước đó bố mẹ cũng đến hỏi thăm rồi mới cho chơi cùng, Chứ không nói đến việc cho con tôi lên xe ô tô trở về nhà. Chỉ điều này thôi cũng đáng phải trả giá cho việc làm này nếu đó là sự thật. Đối với tôi đây là sự nguỵ tạo chứng cứ để Shibuya Yasumasa hợp thức hoá câu chuyện là con gái tôi đã lên xe của hắn ta từ trước và vết máu đã có từ khi đó. Theo như chuẩn đoán của cảnh sát con tôi trong bụng vẫn còn thức ăn chưa tiêu hết, tức là chết sau khi ăn dưới 4 giờ đồng hồ. Như vậy con tôi đã chết trước 12 giờ ngày 24 tháng 3 năm 2017. Tức là Shibuya Yasumasa đã bắt cóc, tra tấn, dâm ô, có thể nói là cưỡng hiếp nhưng cơ quan điều tra chỉ nói là hành vi dâm ô thôi. Và giết con tôi ngay sau khi thoả mãn dục tính. Với những thông tin này mà vẫn có người nói rằng Shibuya Yasumasa là vô tội. Vẫn còn đứng ra bênh vực và bảo vệ Shibuya Yasumasa. Chỉ với thông tin mà khi tìm thấy thi thể con tôi trên báo trí thì khi ai đọc cũng phải rùng mình về sự tàn ác của thủ phạm đã gây ra, vậy mà vẫn có người nói là chưa đủ giã man, Sau khi đọc những dòng này hãy từ bỏ cánh nhìn đó đi, hay thức tỉnh lương tâm của bản thân những kẻ này đi. Đến bây giờ Shibuya Yasumasa vẫn ngoan cố không thừa nhận hành vi của mình làm mà còn cấu kết với một số kẻ không có lương tâm, chắc là Shibuya Yasumasa đã cho những kẻ đó rất nhiều tiền để làm những hành động không có lương tâm không biết thế nào là phải là trái. Thật đáng xấu hổ cho những ai đã sinh ra những kẻ như vậy. Hiện tại tôi cũng đã có xem thông tin mà Shibuya Yasumasa đã viết thư và có những kẻ không biết phải trái đang đứng ra bênh vực Shibuya Yasumasa, trong thư có rất nói rất nhiều điều để phủ nhận hành vi phạm tội mình đã làm của Shibuya Yasumasa. Nhưng những lời đó chỉ những kẻ không có lương tâm, có mắt như mù, có đầu óc để suy nghĩ mà không biết nghĩ thì mới cho rằng Shibuya Yasumasa là kẻ vô tội. ở trong đó chỉ 1 câu “ピンクの靴をはいて　家をリンさんは家を出ているが　父親は黒いくつをはいて出ているといってケイサツは黒いくつをさがしていた” đã đủ chứng minh Shibuya Yasumasa là kẻ sát hại Con tôi. Chỉ có thủ phạm mới biết được ngày hôm đó con tôi đi giày gì và giày màu gì. Và đến ngày hôm nay cũng vẫn không tìm thấy đôi giày đó. Chỉ có Shibuya Yasumasa biết giày con tôi đi màu gì, và đã vứt nó ở đâu. Ｖà Với câu này thì mọi người đã đủ biết shibuya yasumasa đã thăm dò , dình mò, và tìm cơ hội để bắt cóc con gái tôi như thế nào: “リンさん宅周辺は道はばがせまく　1時間に130台以上通行するぬけ道のため路上駐車はムリであるし目ゲキ証言が一つもない“. Lần này nhất định người đứng ra xét sử tại toà án tối cao tokyo sẽ nhìn thấy rõ giết người có kế hoạch và độ tàn ác của Shibuya Yasumasa, và 1 kẻ không biết hối cải như Shibuya Yasumasa sẽ phải bị tử hình. Đã gây cho tôi và gia đình tôi phải chịu quá nhiều đau đơn, công sức , và tiền bạc để đi xin chữ ký, nhận chữ ký. Tôi tưởng ngày 26 tháng 6 năm 2018 sẽ là ngày cuối cùng không phải đi xin chữ ký yêu cầu tử hình Shibuya Yasumasa nữa nhưng không ngờ tôi vẫn phải tiếp tục đi xin chưx ký lần thứ 4. Lần trước tôi đã mong muốn chỉ người dân nhật bản ký yêu cầu tử hình Shibuya Yasumasa là đủ. Nhưng tòa án sơ thẩm chiba đã không đưa ra bản án thích đáng tên rác rưởi này. Lần này tôi phải nhờ toàn thể người dân trên toàn thế giới ký yêu cầu tử hình Shibuya Yasumasa giúp tôi. Và những kẻ muốn bảo vệ cho Shibuya Yasumasa nếu đọc được nội dung này thì hay từ bỏ ý định bảo vệ kẻ sát nhân Shibuya Yasumasa đi. Hãy khuyên bảo shibuya yasumasa thú nhận tội lỗi mình đã làm, và nói ra sự thật những gì đã làm với con gái tôi. Nếu đã hiểu mà vẫn còn tiếp tục thì sẽ phải hối hận việc mình đang làm. Và thật đáng thương cho những ai đã sinh ra những đứa con lầm đường lạc nối, có mắt, có tai, có tay, có đầu óc mà không biết thế nào là lẽ phải. Nếu Shibuya Yasumasa đọc được nội dung này thì hãy xem toà án lương tâm của mình đi. Hay là con ác ma không có lương tâm nữa thì sao mà biết lương tâm của con người. Ở toà án Shibuya Yasumasa kêu với toà án là bị bệnh, và mắt không nhìn thấy được gì, đã không thèm đứng dậy chào các thẩm phán viên, vậy mà vẫn viết và đọc được thư , viết thư kêu oan để gửi cho những kẻ không biết phải trái ra nói nhảm nhí để mong tìm cách chối tội lỗi của mình sao?. Shibuya Yasumasa đã tìm nhầm người để gửi thư　rồi. Shibuya yasumasa đã viết ra những thứ không đáng viết rồi. Chỉ 1 câu trong đó thôi tôi đã có thể chứng minh Shibuya Yasumasa là thủ phạm sát hại con gái tôi rồi. Tôi lần trước đã nói, đã cho Shibuya Yasumasa và luật sư chứng minh không liên quan đến cái chết của con tôi đi, và tôi đã chờ đợi và nghe 1 câu chuyện giả dối và có lễ chỉ trên thế gian này chỉ có Shibuya Yasumasa mới có thể nghĩ và nói ra được. Shibuya Yasumasa nói ra đã khiến cho tất cả mọi người có mặt trong phiên tòa cảm thấy tức giận, và tôi cũng đã không biết làm thế nào để có thể kìm nén sự tức giận đó. Ngay cả vợ và con của Shibuya Yasumasa nếu nghe cũng sẽ không thể chịu nổi. Nhưng sự thật vẫn là sự thật, Nếu thực sự đã sát hại con gái tôi thì không thể nào tìm cách đổi trắng thành đen được đâu. Không ai có thể làm được điều đó, không thể một tay che cả bầu trời dễ như vậy đâu. Nếu ngay từ đầu nói ra sự thật và biết ăn lăn hối lỗi có lẽ còn nhận được sự khoan hồng của pháp luật. Nhưng với sự ngoan cố không biết hối cải thì chỉ còn con đường duy nhất là phải bị tử hình thôi. Tôi đã biết chính xác kẻ sát hại con gái tôi thì chỉ còn con đường duy nhất là phải bị tử hình. Câu cuối cùng tôi muốn gửi cho shibuya yasumasa và những kẻ đang muốn bảo vệ shibuya yasumasa: “Hãy sống và làm những việc mà bản thân mình không phải cảm thấy hổ thẹn với chính mình. Khi đêm ngủ nếu như có hồn ma nào đến hỏi thăm, thì hãy bình tĩnh và hỏi sự tình của hồn ma đó. Nếu hồn ma đó thật đáng thương cần sự giúp đỡ thì hãy làm những gì mình có thể để cho hồn ma đó có thể được siêu thoát. Nếu hồn ma đó là một kẻ khi sống làm việc ác và thật sự đáng chết thì cũng không khoan dung với kẻ đó mà phải trừng phạt hồn ma đó. Nếu mà đêm đến có hồn ma đến tìm vì đã làm điều ác với người đó khi sống, và hàng đêm phải sợ hãi mỗi khi hồn ma đó đến thì hãy làm những gì bây giờ có thể để tạ tội với hồn ma đó đi”. Dear Minister of justice, Supreme court, Supreme public prosecutors office, Tokyo high court,Tokyo high public prosecutors office. Japanese 47-years-old man, Yasumsa Shibuya. 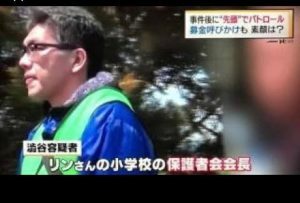 On 23rd March, 2017, in Matsudo City, Chiba, Japan, Shibuya Yasumasa committed an inhuman crime. so that we would seek for the death penalty against the accused Yasumasa Shibuya. If you would like to co-operate with us, please sign the below. ●We are going to submit all the signatures to Tokyo high public prosecutors office. ●To protect the personal information, this document won’t be used for other purpose. Completed 104 template required death penalty shibuya yasumasa. Each template is a separate language, including Vietnamese, Japanese, English have been edited. The other languages still need grammar editing, I hope you all over the world who can correct grammar properly please help me. And the whole world takes action by doing so that no other child will suffer as my own. Please sign one of the following versions: If possible sign in Japanese or English. How to sign: print the pdf file of your language version, then write the name and address, sign in line on the paper, each line is a signer. Each person only signed once in a single version. Hope everyone cooperate, honest one do not sign many times.Each line is a sign of 1 person. One sheet of paper signed by many people. After collecting the signature, please send it to the address below the form. (● Contact: Name: LE ANH HAO; Address: 〒270 ー 2204 CHIBA-KEN MATSUDO-SHI MUTSUMI 5-15-6) japan.